The ketogenic diet has gained a lot of popularity in recent years; however, this way of life is far from being a new invention. People have been using this method to successfully lose weight for decades. Although it can be rather difficult to get used to this diet at first the benefits will soon make it all worth your while. Many people claim that this is a diet, however, we prefer to think of it as a way of life. When you combine this method of eating with a healthy exercise plan you can easily make it a part of your routine for the long run. What Are the Benefits of a Keto Weight Loss Plan? 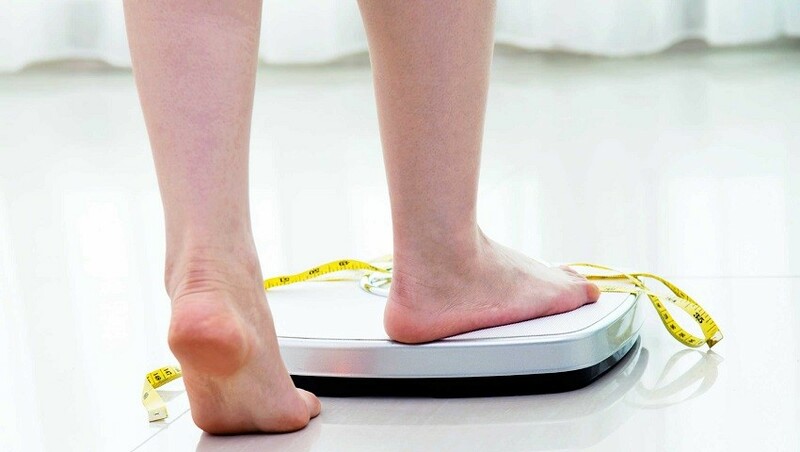 Weight Loss: One of the primary reasons that individuals decide to begin eating this way is to help them lose weight or maintain a healthy body max index (1). Recent research studies have found that people who follow this style of eating lose a significant amount of weight after a short period of time when they eat this way. This diet really works because it helps to control your hunger. Reduces Your Risk for Type 2 Diabetes: Due to the fact that this eating plan helps you to eat more fats than carbohydrates your body begins to control the release of hormones like insulin (2). These hormones are responsible for the development of conditions like diabetes. The fats in a keto diet help to keep your blood sugar levels stable while decreasing your need to snack. 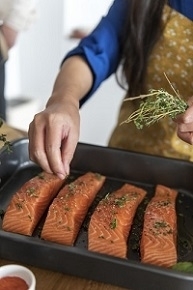 Could Prevent Heart Disease: Most people are rather surprised to learn that a diet that is rich in fats could be could for the health of your heart. However, it really depends on the types of fats you are consuming. Foods like butter, cheese, and coconut oil are rich in medium-chain triglycerides (3). These are healthy fats that reduce the amount of unhealthy cholesterol in your blood while improving your levels of healthy cholesterol. 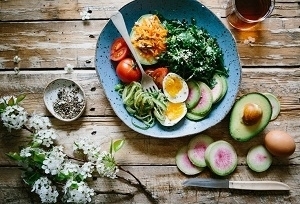 Improves Your Brain Health: Recent studies have found that people who follow a diet that is high in fat while also low in carbohydrates showed significant improvement in their mental health. The experts believe that this diet could be beneficial for individuals who suffer from a variety of conditions like schizophrenia as well as Alzheimer's disease (4). It Could Help You Live Longer: The experts seem to believe that individuals who stick to a low carb diet are more likely to live longer than individuals who do not. There are a variety of benefits associated with this type of diet. This diet could help you to lose a significant amount of weight because it helps you to feel full. Individuals who eat a high-fat, low-carb diet are at a reduced risk for developing conditions like type two diabetes as well as heart disease. This is because it helps to regulate your insulin levels and reduce the unhealthy cholesterol in your blood. Additionally, people who eat this type of diet will find that their brains are healthier than others. Finally, this diet could even help you to lose weight. The science behind weight loss on this type of diet is really rather simple. When you begin to cut out carbohydrates from your body and start including more healthy fats in your diet your body changes the way it metabolizes energy. Instead of using the glucose that is present in your bloodstream for energy your body will begin to use the fat you have stored throughout your life. As your body starts using fat for energy you will begin to produce ketones (5). Once your body has produced a certain number of ketones your body will go into a state of ketosis. In this state your body will rapidly burn fat that has been stored. Your body will stay in this state of ketosis as long as you keep your carbohydrate intake to a minimum. The traditionalists will recommend that 75% of your diet consists out of fats, 20% protein and 5% carbohydrates. However, this can be rather difficult to maintain. You will attain results that are just as efficient if you alter this plan slightly. You can begin by reducing your carbohydrate consumption to between 30 and 50 grams a day. Then you slowly reduce this amount until you are only consuming 20 grams in a day and your body goes into ketosis. You can also find one of the best keto supplements to help you achieve this state. When you stop eating carbohydrates your body switches from using glucose for energy to using your fat reserves for energy. One this happens your body begins producing ketones. After you have produced a certain number of ketones your body will go into a state of ketosis where it will burn a significant amount of fat. To do this we would recommend that you reduce your intake of carbohydrates to between 30 and 50 grams a day and reduce it until you are only eating 20 grams a day. You should continue this to keep your body in a state of ketosis. The specifics of your eating plan will vary depending on a variety of factors. Your age, gender, and fitness levels will all play a role in the specifics of what you eat. Unlike other high fat low carb diets, this one does not place focus on the consumption of protein. This success of this diet depends on the number of fats you eat. If you are eating enough fats and are limiting your carb intake your body will be able to go into a state of ketosis. Although it is not strictly necessary for you to take a supplement while you are on this eating plan it can be rather beneficial. Taking a supplement could help to keep your body in a state of ketosis. Additionally, it could help to reduce some of the significant side effects associated with this eating plan. While you are on this eating plan it is important that you remember to keep drinking water. If you do not drink enough water, you will feel tired and your body will not be able to digest food appropriately. You should try to drink between ten to twelve glasses of water daily to keep yourself hydrated and your body healthy (6). The specifics of this diet will vary depending on a variety of different factors like your age and fitness levels. This eating plan does not place a focus on eating a lot of protein, instead, it is the fat you eat that helps your body lose weight. You may want to take a supplement on this eating plan, however, it could be helpful. Finally, you should remember to drink enough while you are on this weight loss plan. Not only will it help to keep you hydrated but it will also make your weight loss a little bit easier. Omega 3 Fatty acids: these fatty acids are found in fatty fish like tuna or salmon. MCT Oil (7) : This beneficial oil is found in coconut, palm fruit, olive oil, flaxseed, macadamia, and avocado oil. The most crucial part of the ketogenic diet is the consumption of fats. You should aim to include fats like omega 3 fatty acids, MCT oil, butter, ghee, lard, chicken fat, and duck fat into your daily routine. Protein is important for individuals who are on the ketogenic diet. Protein helps to keep you feeling satisfied and reduces the need to snack on unhealthy foods. However, when choosing a protein, you should choose fattier cuts of meat instead of lean meats. Good options for those of you on the on the keto diet are grass-fed beef, organ meats, poultry, eggs, and fish. 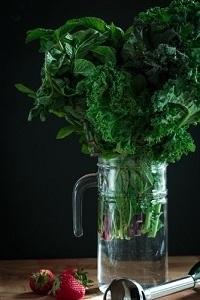 Leafy green vegetables: dandelion or beet greens, collards, mustard, turnip, arugula, chicory, endive, escarole, fennel, radicchio, romaine, sorrel, spinach, kale, and chard. Cruciferous vegetables: broccoli, cabbage, Brussels sprouts, and cauliflower. Although it is not strictly necessary for you to consume vegetables while you are on this type of diet it may still be beneficial. Not only will eating vegetables help to curb your hunger but it will also help to provide your body with all of the vitamins and minerals it needs to remain healthy. Bone broth: this savory broth is an excellent option for those of you who are trying to lose weight. Not only is bone broth packed with key vitamins and minerals, but it is also an excellent source of electrolytes and fat to keep you healthy and firmly on track to go into a state of ketosis. Beef jerky: beef jerky is the perfect option for individuals on a high-fat low carb diet. Not only is jerky an excellent source of protein but it is also salty enough to satisfy your cravings. Eggs: eggs are a great versatile option for people who want to focus on eating healthily. You can boil them or whisk them together, add some shredded meat and bake them in muffin trays. Not only are eggs incredibly satiating but they are also an excellent source of healthy fats. Low Carb Veggies: Another great option for individuals who are following this specific eating plan is sliced veggies. These are a great crunchy snack that can be as satisfying as snacking on crunchy chips. Serve your veggies with a dip made from full fat Greek yogurt so that you can increase the amount of fat you are eating with this snack (10). While you are eating a low carb high fat diet the urge to snack can sometimes feel overwhelming. In this case, there are a variety of different snacks that you can choose that will not set your weight loss off track. Good snack options for those of you who are trying to attain ketosis include bone broth, beef jerky, eggs, and vegetables with a full-fat yogurt dip.